Heinrich Pauker Wins in Brussels! The final day of the 2015 bwin.be World Poker Tour National Brussels €1,200 Main Event saw 21 hopefuls return to the tables of the Grand Casino Brussels Viage, having already guaranteed €3,920 for their efforts. However, all eyes were set on the winner trophy and first-place payout of €88,000. It took just over seven and a half 60-minute levels to determine a champion, and Heinrich Pauker emerged victorious after defeating Frenchman Yehoram Houri in heads-up play. Mathieu Alciato was the first to fall, and the final two tables were set after Stephen Woodhead and Simon Steinberg headed to the rail in quick succession. The first level of Day 3 also saw the bustouts of Christian van der Haegen, who shoved the river with two pair into the straight of Mike Gerry, as well as Omar Dahmani in 17th place. Pauker's rise started with the elimination of Nicolas Nicolopoulos after his flush draw cracked the over pair of the Belgian. 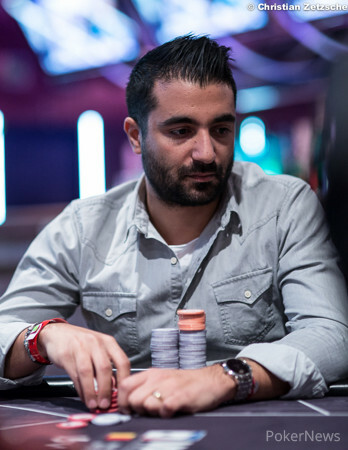 Kamel Djemai departed in 15th place and start-of-the-day chip leader Kyne Elmouloua had to settle for 14th place after becoming a short stack early on. Florian Ravier ran into pocket aces and Jean Marie Vandeborne experienced the same fate shortly after. Eugenio Landi and Julien Brulet then fell in 11th and 10th place, respectively, to set the unofficial final table of the last nine. Only one hand had occurred and Nico Lombaerts lost all but four big blinds to Houri with pocket queens versus pocket kings. Lombaerts' would run out of chips shortly after, and the official final table started with a bang. Day 1a chip leader Mike Gerry put all his hopes on a king-high flush draw and Miroslav Alilovic called with middle pair and an open-ended straight flush draw to vault into the lead. Mohamed Mamouni lost a flip against Pauker's pocket deuces, and Julien Duveau was unable to spin up his short stack to bow out in sixth place. 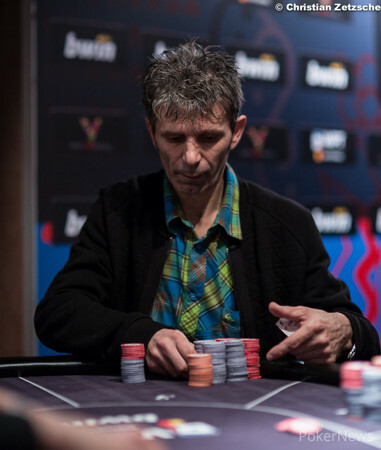 The tides changed for Alilovic, who first lost a big pot against Pauker and then sent the remaining chips within two hands to Erwann Pecheux to finish in fifth place. The PMU Pro also took care of Jozsef Szabo and went from short stack to chip leader with three players left. An enormous 10 million-chip pot with a roller-coaster runout left Pecheux crippled and the Frenchman never recovered from that, finishing in third place for €39,425. Subsequently, Pauker started the heads-up match with an overwhelming lead over Houri and the Frenchman stood no chance despite doubling up with pocket aces in the very first hand. 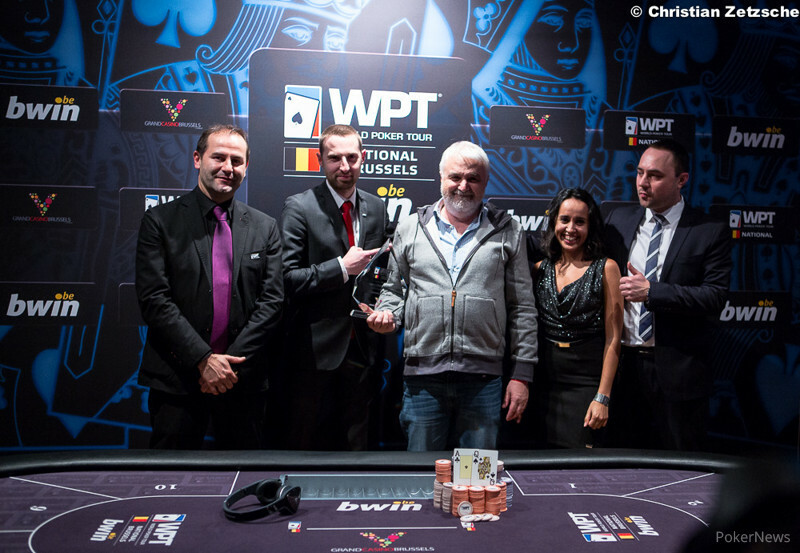 In the final hand, Houri's ended up second-best to the of Pauker and the WPT National Brussels champion was crowned. The Grand Casino Brussels Viage regular immediately hugged his wife on the rail and joked in the interview after his victory "Pauker, like Poker." Originally from Germany, Pauker has been living in Belgium for more than 40 years and plays both tournaments and cash games. According to his Hendon Mob, Pauker has $92,661 in tournament earnings and the biggest cash came off a second-place finish in a high roller event at the Namur Poker Classics in 2013 for €23,742. With that, PokerNews' coverage from Brussels comes to an end, hopefully you enjoyed the show. Thanks for tuning in, and we'll see you next time! The vast majority of pots after the first double up went to Heinrich Pauker including two walks in a row before Yehoram Houri then got his last 14 big blinds in the middle with . Pauker looked him up with the and had his opponent dominated. The flop provided some chop possibilities, however it was all over after the turn. Pauker threw his hands up in the air and then hugged his wife on the rail before shaking hands with Houri. The Frenchman receives a consolation prize of €61,075 for his efforts and now the time for winner shots has come. In the very first hand of the heads-up match, Yehoram Houri was all in with and got called by Heinrich Pauker with the . The flop gave Pauker some back door outs, but the turn reduced it to the last two eights in the deck. The river was a brick and this heads-up is far from over. There are 39 minutes left in level 30 and the cards are back in the air. After being crippled in the previous massive hand, Erwann Pecheux was all in and at risk for his last 580,000 chips and Heinrich Pauker called. Both hit the flop while the turn changed nothing. The fell on the river and Pecheux was eliminated in 3rd place, good for a payday of €39,425. Quick break now to prepare the heads-up match, which Pauker will begin as overwhelming chip leader. Erwann Pecheux raised to 200,000 from the button and Heinrich Pauker three-bet for another 500,000 on top out of the small blind. Yehoram Houri quickly got out of the way and then Pecheux grabbed into his stack of T-100,000 chips, four-betting to what looked like 1.5 million. Pauker moved all in instantly and Pecheux called. "You got aces?" Pauker asked his opponent and Pecheux shook his head. Pauker then turned over the and the PMU Pro was shellshock, flashing the to his rail. "This can't be true" he sighed loudly in French to his rail. Pecheux's friends erupted on the flop while Pauker loudly demanded for a jack. "The turn was a brick and the dealer then burned and turned the river. "YESSSSSS" Pauker yelled and quickly apologized. "I never shouted in a casino in my life," he said. 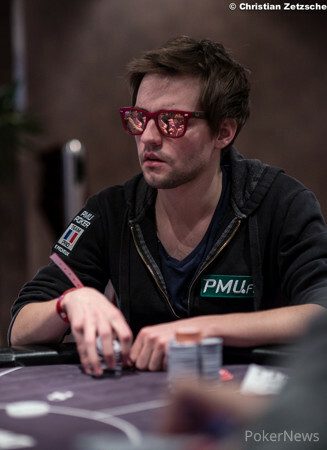 The chips were counted and Pauker was the player at risk for 5,010,000 chips, leaving Pecheux with five big blinds. Erwann Pecheux raised to 200,000 from the button and Jozsef Szabo defended his big blind to see a heads-up flop of . Szabo quickly fired 250,000 and was called before barreling another 600,000 on the turn. Pecheux asked for the stack behind of the Hungarian (1,600,000) before making the call. On the river, Szabo shoved instantly and Pecheux smirked, thought for another 10 seconds and then called. Szabo showed the and Pecheux cheered to his rail, triumphantly turning over his for two pair. The Hungarian is eliminated in 4th place and Pecheux has more than half of the chips in play now. Heinrich Pauker raised to 175,000 from the button and Yehoram Houri three-bet to 400,000 with a total stack of what appeared to be under 1,700,000 chips. 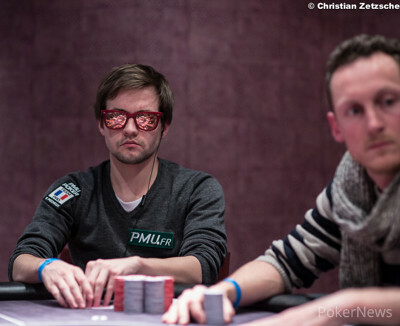 Erwann Pecheux inquired about his stack size but mucked, whereas Pauker called. On the flop, Houri bet 425,000 and Pauker moved all in instantly. Houri mucked his cards and Pauker then asked him if he wanted to see the cards. The Frenchman wasn't really thrilled about that idea, yet Pauker turned over his and earned some words about the "preflop call not being correct" from his opponent.